The five-day event is built around the main themes of Open Source, Social Innovation, Open Data for Sustainable Development, and Cybersecurity. The hands-on workshops, hackathons, lectures, and more aim to give participants a chance to learn and apply concepts in real life. ODC hopes to bring together technical experts, practitioners and people in policy-making roles to provide a unique opportunity for participants to learn how to securely adapt technologies that can tackle social and environmental issues in their communities. 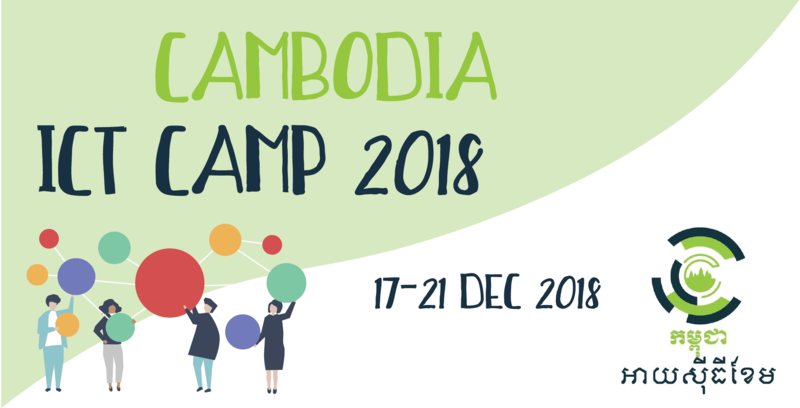 This Cambodia ICT Camp is the successor to last year’s fantastic Mekong ICT Camp 2017, and Geeks in Cambodia is excited to see what they have in store for this year! For more information and to register visit their site HERE.